Overview & specs of Carmen C81026 Cordless Hair Straightener by Argos. Say goodbye to bad hair days forever; With the Carmen by Samantha cordless hair straightener you can have beautiful smooth, sleek hair wherever life takes you. The Carmen by Samantha cordless hair straightener with its handy heat resistant travel pouch, pops easily into your handbag or suitcase for salon perfect hair on the go. Model number: c81026. The rechargeable lithium battery provides 25 minutes use from each charge. There are also 3 temperature settings, allowing you to choose the best heat option for your hair type. 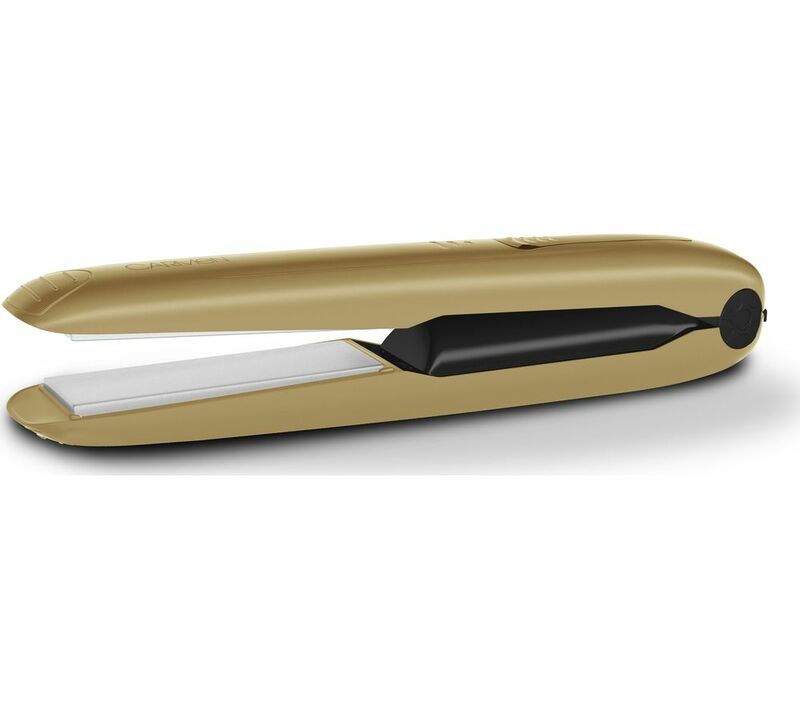 The hair straightener features the latest hair technology in the form of its tourmaline-coated straightener plates which emit negative ions to elimitnate frizz and leave your hair perfectly smooth and unbeatably siny. At the base of the straighteners there is also a small lock function to lock the straighteners closed for storing or travelling. Variable temperature so you can adapt this to your specific hair needs for ultimate control. Maximum temperature 180C. 110 second heat-up time. Heat ready indicator. Tourmaline-ceramic plates. Ionic conditioning locks in moisture to keep hair healthy and frizz-free. Width of plates 3mm, length of plates 7mm. Cordless. Heat-proof pouch, . General information: Weight 0.25kg. Manufacturers 2 year guarantee. We are comparing prices for Carmen C81026 Cordless Hair Straightener in new condition sold by Robert Dyas, Argos.